Seeme & Liz > Parenting Tips (0-2 year olds) > Baby Signs® Complete Starter Kit – Your Baby Sign Language Adventure Begins! 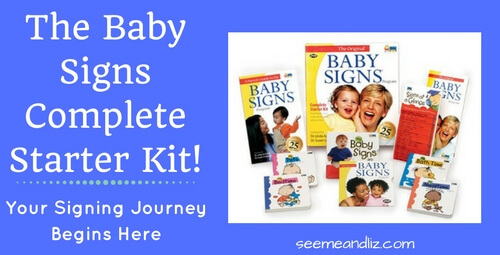 The Baby Signs® Complete Starter Kit has everything you will need to get started on your baby sign language adventure! As a certified independent Baby Signs® instructor I can assure you that this kit is fabulous. 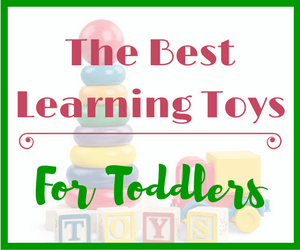 It contains everything that you will need to learn and teach your baby to sign. 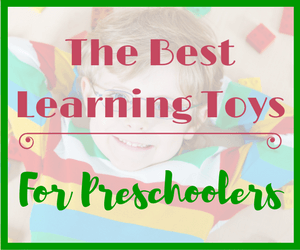 There are many different programs, materials and classes available that will help you with baby sign language. As I am certified with the Baby Signs® program and am very familiar with the Baby Signs® Complete Starter Kit, I will only be discussing this particular product. When I decided to become a baby sign language instructor I reviewed many certification programs. I wanted something that wasn’t strictly ASL (American Sign Language) based and allowed for flexibility. I also wanted a program that didn’t go to over board on the number of signs to be taught. For me, getting a child to talk is the number one goal. I was drawn to the theme based classes offered by Baby Signs® as they are very similar to how I used to run preschool speech and language groups. Each week is a different theme based on early vocabulary. Songs and objects representing each targeted word are incorporated into the session. Sorry for that last tangent, but I felt it appropriate to share how I came about choosing this particular program. Now back to my thoughts on the Complete Starter Kit! Parent Guide – this illustrated soft cover book (80 pages) is a step by step guide to get you started on your baby signing journey. Parent DVD – this DVD discusses the Baby Signs® program and the many benefits to signing with your baby. 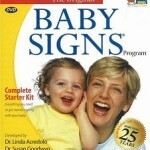 The DVD also includes a video dictionary with 100 common signs that would be most applicable to a baby. 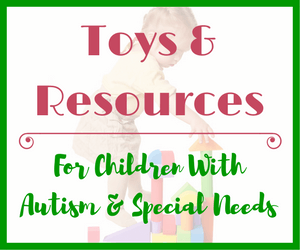 Each sign is demonstrated by an adult or child so you can see exactly how to make the sign. My Favorite Signs DVD – this DVD is intended to be watched by the baby and caregiver together. The DVD introduces 6 signs through puppets, babies and animation. As many of you know it is now recommended that children under the age of 2 not be exposed to much TV. 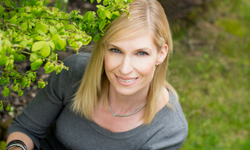 If you are interested in what Linda Acredolo, Ph.D. (one of the founders of Baby Signs®) has to say regarding this, please see her Television and Babies article. Signs at a Glance Flipper – this flip up card consists of 86 signs for quick reference. It has a magnetic back so it can be placed on your fridge for easy access. 4 Board Books – each book contains 6 signs. These books are sturdy so go ahead and let your baby “read” one. Each book is based on the following themes: Mealtime, bedtime, bath time, pets. comes with everything you need to get started. The information in this kit is backed by years of research! includes a DVD for your baby to watch (see “My Favorite Signs DVD” above for more info – again, not necessarily a con depending how you view it). As you have probably gathered, I think the Baby Signs® Complete Starter Kit is all you really need to start signing with your baby from the comfort of your home. If you have purchased this kit I would love to hear your thoughts. If you have any questions, don’t hesitate to ask in the comments below! Wow! Very interesting topic about baby sign language. I babysit for someone right now that I believe could benefit from the Baby Signs Complete Starter Kit. I would be interested to know how much signing with a baby helps them if they may have slow communication development. Will this help them to grow in this part of their development? Very interesting topic! Signing with a child with a language delay is very beneficial as it is still teaching that child how to communicate and build his vocabulary. A child with a language delay often ends up having issues with behavior because she is not able to express herself but has many things to say. The main goal for a child is to get them communicating and speaking. As long as the parents/caregivers are always using the sign along with the spoken word, signing will be very beneficial. Many speech therapists incorporate signing into sessions with children who have language delays! Please pass on this information to the parents of the child who you baby sit for. They are more than welcome to send me a message if they have any questions. As a father of three grown up children in puberty now, I was fascinated to learn about the possibility to learn and teach sign language with your baby. When my children were small, I tried to understand the different steps of development they were going through. For me it was quite a challange, because up until then my basic view of the world was in academic categories. In addition to that, I came in contact with sign language through friends who had a baby without hearing. This was quite a challenge. So looking back, what I learned was to train my intuition. If I had a baby today, I would start with the course your recommending. Becoming a parent can be quite overwhelming. However, it doesn’t have to be. Baby sign language may not be for everyone, but it can definitely help ease frustration on both the parents and child’s behalf until the baby is able to start using words. There are so many programs out there right now that will help teach a baby to sign, it is up to the parent to decide which one to choose. I recommend the Baby Signs program since I am in instructor with this program. 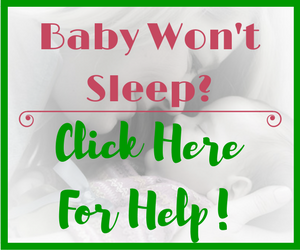 I did review many programs before deciding to go with the Baby Signs program. I have two beautiful children and when they were babies I use to speak first with signs and then speak to them. It was an instinct, I don’t know why, but the essential is I felt good with that. In fact many people still use sign language even when they get mature. Signing is almost instinctual to some parents because it is so similar to using gestures. Most people add gestures when speaking with others and babies do this as well. Signing is an extension of natural gestures that humans use to communicate. If you are interested in some more information on baby sign language check out these articles: Baby Sign Language Basics – What you need to know! Teach Your Baby Sign Language: It’s Easier Than You Think! As for adults signing, I think that this only occurs if the person has a friend or family member that signs. However, adults do continue to use gestures to get their point across. The idea of using baby sign language to help him communicate before he can do so verbally is definitely an interesting one. I’ve seen discussions in dad groups on how it helped them, but that sometimes one of their kids would pick it up easily and utilize it for communicating basic needs while their other children didn’t take to it at all. Still, it’s something we want to try with our son when he gets closer to the year mark. Will definitely have to check this program out! I am glad that you are open to giving baby sign language a try. The Complete Starter Kit by Baby Signs will be quite helpful. When I hear comments as you mentioned (some kids pick it up while others don’t), I always want to talk to the parents whose children didn’t pick it up. Most likely the reason is that the parents weren’t consistent with signing. As I mentioned in Teach Your Baby Sign Language: It’s Easier Than You Think! and Baby Sign Language Basics – What you need to know!, teaching a baby sign language is much like teaching a language. If you just speak to your baby here and there, he probably won’t speak to you. It’s not that he wasn’t interested or just didn’t pick it up. It is because of the fact that the exposure to language (or sign) was not consistent. I would suggest you get started with signing now. 9 months is the perfect age. 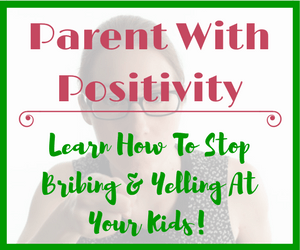 It will take some time for you and your wife to become consistent at signing with your son and until that happens, he won’t be signing to you in order to communicate. Why wait till he is one when you can start communicating now? Let me know if you have any questions once you get started. I agree that the first priority is to get your child to talk. This got me curious when reading your article. Does teaching your child sign language hinder their language development or growth? I ask this question especially for parents that have special needs children. Here is an example, I noticed that when my son uses the picture exchange cards, he may rely on that more than his words. I want my son to use his words rather than rely on the cards. I like the cards because it does help him learn a new word, but I don’t want him to rely on it. I never explored sign language with my son. I think it might be a great for him to explore another way of communicating, but I don’t want him to stop trying to talk. What is your thoughts? Thanks! Thank you for your comment and questions. Teaching a hearing baby (with no known special needs) sign language will not hinder their language development assuming that the parent is always paring the word with the sign and continues to do so once the baby is starting to sign spontaneously. Parents that just accept the sign that the baby made and respond by giving the baby the requested item are putting their child at a disadvantage because the child is not hearing the spoken word. The same would go with PEC’s (picture exchange) cards. Make sure you are always responding to your son with the word for the card he has handed you. As I do not know your son or what his needs are, I can’t give you any specific suggestions. If he is seeing a speech-pathologist I would recommend you asking him/her. It sounds like your son has some words, so if he hands you a card for something you know he has the spoken word for, try to have him say the word along with the card before you offer the item to him. As for using sign language with your son, this again is probably a question for the therapists involved with your son. I am all for introducing as many forms of communication as possible. When I was practicing as a speech pathologist, I encouraged non-verbal or verbally limited children and their families to explore many modes of communication; that being speech/sounds, pictures and signs. 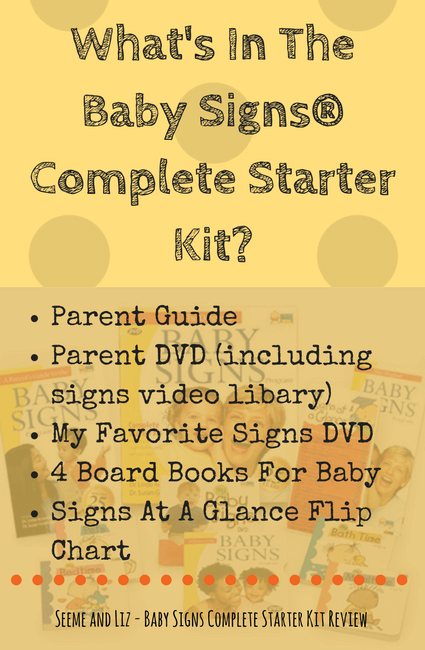 If you are thinking about giving signing a try, I do highly recommend the Baby Signs Complete Starter Kit. Please make sure to check out my other articles related to sign language as they debunk some common myths and also link to relevant research about signing and language and overall development. This is my first time reading about teaching a baby to sign. And taking it from someone certified in the field, I can say you are endorsing the best product there is. I can see that you belong to a team that is not necessarily ‘going on with the flow’, but you beg to differ – I say for the better. Thanks for your comment. If you want more information about baby sign language, please read these articles that I wrote previously. Baby Sign Language Basics – What you need to know! This article debunks some common myths and discusses the benefits of baby sign language. Teach Your Baby Sign Language: It’s Easier Than You Think! This article goes into a bit more detail about how to actually teach your baby sign language. Both of these articles contain links to research that has been done in this area.